Hapkido Awareness, Micro and Macro. What is Chon Sul Kwan? Who is a Black Belt? Where does Hapkido come from? Who founded it? Much of Hapkido history is anecdotal. The author can make no claims to the authenticity of this information. It is up to you the reader to use your own judgment regarding the facts. To learn the history of Hapkido we have to look at the setting in which it began. Throughout history the Korean peninsula has been place of war and contention. The land is beautiful and it's people clever and hardworking. It has always been a tempting target for invasion. The Koreans have fought for centuries to repel invaders from mainland China and neighboring Japan. According to Choi-Yong-Sul as a youth he was grabbed on the street by a travelling Japanese merchant who wanted a child to take home to his wife. The Korean boy was abducted from his natural family to Japan against his will. He was understandably distraught and after weeks was still uncooperative and disheartened to his 'new' Japanese family. Rather than returning the poor child to Korea his captor simply left the boy at a local temple (some versions of this story have said local police department). The monks cared for the boy in as much as they could. The only thing that seemed to brighten the boy's sadness were paintings and sculptures of warriors. They decided to bring the Korean child to Sokaku Takeda (1860-1943) a martial arts master of legendary stature. longest. Some have claimed that Takeda adopted the boy but that cannot be confirmed. Cultural ideas of the time and place make the notion highly dubious. It is believed that Choi Yong Sul considered Takeda to be a father figure and remembered him fondly. Authors Note: Daito Ryu Aikijujutsu historians find little or no credible evidence of Choi Yong Sul. However photographic evidence exists placing Choi with early Daito Ryu Students which seems to substantiate Choi Yong Sul's story. If anybody out there would be willing to share the photo with me I would love to present it here. What is very much a fact though is that Choi would become a very powerful fighter. of the time was one of a divine race and all foreigners were considered to be beneath them, to be defeated by a Korean manservant must have been a powerful deterrent to challenges. Choi would travel far and wide with Takeda teaching and demonstrating their amazing fighting arts and acting as assistant to the Master. He would be Takeda's faithful servant for the bulk of his early life. It is believed that both men were close in spite of the Korea/Japan cultural divide and animosity. 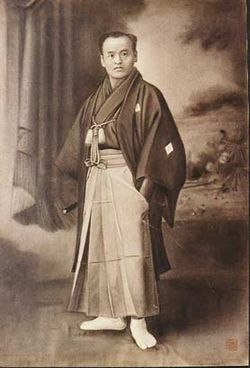 Prior to his death in 1943 Takeda released Choi from his service. Choi like many Koreans during and especially after the war decided to return home, back to Korea. Authors note: The period Choi Yong Sul's life between 1943 and 1945 is a mystery. If anybody has credible information about this time I would love to see it. Choi was rumored to be teaching Daito Ryu in Japan at this time. Another variant of the story has Choi assigned to hunting down Japanese deserters in the mountains till the end of the war. WWII would hand Japan a crushing defeat at the hands of the allied forces. Many Japanese cities were completely leveled by incendiary bombs and atom bombs. Japan officially surrendered on August 15, 1945. 1945 was a year that rattled Japan to its foundation. It was a crazy time, some among the warrior class in the populace committed seppuku (ritual suicide). One of the terms of surrender would be for Japan to withdraw from Korea. Daito Ryu Aiki Jujutsu is a seminal art that has its roots in the fighting styles of samurai. It is still practiced today. Perhaps Daito Ryu's greatest achievement is spawning two new child arts in Aikido and our beloved Hapkido. Choi Yong Sul teaching a student. likely that in the beginning he taught exactly what he learned which is Daito Ryu Aikijujutsu. Understandably anything Japanese was considered undesirable in Korea at that time. Choi rebranded Daito Ryu Aikijujutsu the Korean name Deadong ryu yu kwon sul and pressed on. Above, possibly the only video of Choi Yong Sul. Many of Choi's early students were already black belts in Judo or Karate. Unfortunately the Japanese occupation essentially wiped out the ealier Korean fighting arts. The Korean fighting arts we have today are built from Japanese arts and/or attempts to reconstruct lost Korean arts. In the modern martial arts world Korea is known for its fantastic kicking arts and Hapkido would adopt much of these kicks in its first twenty years of growth. 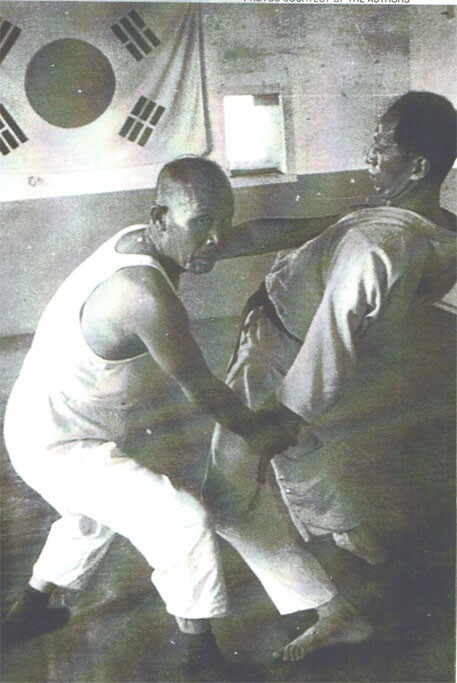 Choi Yong Sul himself taught only ten individual kicks as a part of his style but most of his first generation students/teachers added many more. It is unclear who first coined the name Hapkido. A few different people have said they were the first to call our art Hapkido. Literally translated: HAP=harmony, KI=body and mind coordination (energy), DO=the way. I prefer the translation "The way of coordinated power." It is incorrect to say that Hapkido borrows many kicks from Tae Kwon Do because both arts evolved at the same time. They grew up alongside one another in the 1950's. It is likely both arts gleaned kicking techniques from reconstructed Korean styles such as Subak and Taekyon. Many of the kicks are the same but generally Tae Kwon Do kicking favors targets above the waist (sportlike) and Hapkido favors targets below the waist (practical combat). Authors Note: Many modern Hapkidoin have also trained extensivily in other Korean arts and are very capable kickers of high and low targets. It is also incorrect to say that Hapkido borrows many techniques from Aikido, that art evolved independently in another country. The arts of Aikido and Hapkido bear only a superficial resemblance because they sprang from the root art of Daito Ryu Aiki Jujutsu. In practice Aikido and Hapkido are almost diametrically opposed in basic philosophy and physical power delivery. It's as if Aikido drew upon the peaceful aspects of Aikijujutsu and Hapkido drew all of the warlike combative aspects of Aikijujutsu. Hapkido could be called a modern art in that it has moved past it's historic Daito Ryu Aikijujutsu roots. For example we have techniques for disarming a gunman and have drifted away from Samurai methods that utilize a sword, spear, or bow. It could also be called modern because it's a living, changing art that continues to evolve to match the march of human progress. Hapkido does have weapons training but it is slanted towards modern weaponry such as guns, knives, and even such mundane things as walking canes and umbrella's. Takeda Sokaku (1859-1943) Disseminated Daito Ryu Aikijujutsu to the general public. It is widely believed that he taught Choi Yong Sul. into your shoes and can only be as humble as a two-year-old learning how to walk. As you just acquired the requirement of learning the techniques of Hapkido, I hope that you become true followers of Martial Arts of diligence and perseverance, and modesty." In addition to to Daito Ryu Aikijujutsu, Hapkido has absorbed influences from other arts over the years and in many ways it has influenced other arts. In many respects Modern Hapkido is a melting pot of martial arts. In spite of all these influences Hapkido maintains an identity as its own unique system of combat. Purity of style is a rarity in martial arts despite claims of many practitioners that their art is the "one true or authentic" this or that. The fundamental truth is that martial artists like other kinds of artists are not above begging, borrowing, or outright stealing techniques to improve or refine their individual styles. Modern Hapkido has no political or titular head. Instead it is made up of mostly unrelated schools spread throughout the world. Often times for practical reasons schools affiliate under an organization much as Hapkido Online has affiliated with the Tactical Hapkido Alliance. Ideally this helps with a unified curriculum. 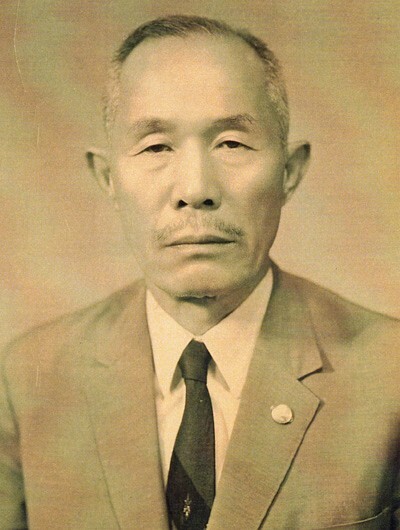 Some schools claim to be the true inheritors of Hapkido and claim lineage all the way back to Choi Yong Sul. I cannot prove or disprove the validity of such claims. At the end of the day, it isn't important. That kind of thinking is Old Testament (so and so begat so and so, etc.). The real strength of Hapkido is more of a New Testament approach, it's about effectiveness. Happily the straitforward hardiness of the Hapkido style has helped it weather the political failings of mankind and it thrives today as reliable fighting system and means of self defense. Hapkido Founder Yong Sul Choi Grandmaster Bong Soo Han & Grandmaster Chong song Kim . — with Grandmaster Chong S Kim, Grand Master Bong Soo Han.